9400 University Parkway #302, Pensacola FL. Dr. Saul Ullman earned his medical degree at the University of Florida in Gainesville, Florida, graduating in the Class of 1982 with honors. Upon graduation, Dr. Ullman was a member of the National Honor Medical Society, Alpha Omega Alpha, and a Phi Beta Kappa graduate. He completed his internship in medicine at Shands Teaching Hospital in Gainesville. 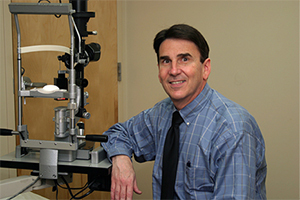 From July 1983 through June 1986, Dr. Ullman completed a residency in Ophthalmology at Wills Eye Hospital in Philadelphia. Wills Eye Hospital is the largest ophthalmic training program in the country and is regularly rated in the top three ophthalmic programs in the country. This training provided Dr. Ullman with extensive experience in medical and surgical diseases of the eye. Prior to starting his practice in Pensacola, Dr. Ullman completed an approved Fellowship in Corneal and External Diseases at the Bascom Palmer Eye Institute in Miami, Florida. This additional training provided Dr. Ullman with extensive clinical experience in corneal transplantation surgery and microincision cataract surgery. Dr. Ullman participated in some of the earlier research and testing with microincision cataract surgery while at the Bascom Palmer Eye Institute. 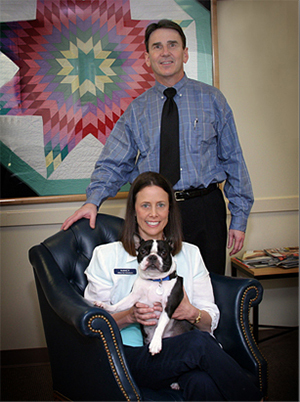 Dr. Ullman has been practicing in Pensacola since 1987. He has a strong interest in clinical research and has published over fifteen articles concerning surgery and diseases of the eye. He co-authored a chapter on cataracts for a major international ophthalmic text. While in Pensacola, Dr. Ullman participated in clinical drug trials that have resulted in new treatment modalities for infections of the eye and glaucoma. He continues to participate in clinical studies, with the commitment to provide his patients with the finest care possible and to contribute to advances in the field of ophthalmology. Dr. Ullman has a particular interest in microincision cataract surgery and has a published an article on a new insertion technique for the intraocular lens in microincision surgery. Dr. Ullman is utilized by companies that produce microincision instrumentation as an advisor to help promote advancements in this technique. He has given over 100 lectures to eye doctors and visiting surgeons come to Pensacola to observe Dr. Ullman perform microincision cataract surgery at the Baptist Medical Park. Dr. Ullman and his staff are committed to treating his patients with expertise, compassion and understanding in an ethical and personalized manner. © 2013 - 2019 Ullman Eye Consultants. All rights reserved.